​Noémie Happart, the wife of Belgian winger Yannick Carrasco, has confirmed Man Utd are 'one of many' clubs that have shown an interest in signing the ex-Atletico man. Carrasco was linked with a Premier League move last January but instead opted for a big money move to China, where he currently plays for Dalian Yifang. However, a return to Europe this month appears increasingly likely with the Red Devils leading the chase for his signature. 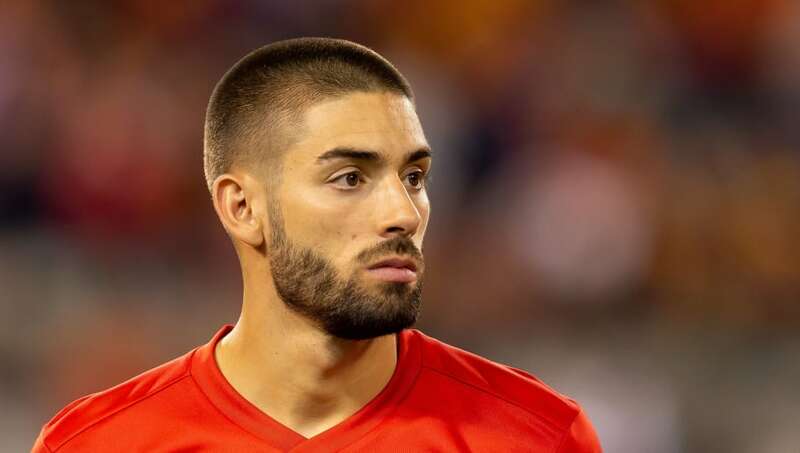 Happart spoke to Belgian news outlet ​RTBF, confirming that a host of clubs are interested in Carrasco, with the 25-year-old having received proposals from all of Europe's top leagues. "There are a lot of things going on," she said. "He has been called by so many clubs, many clubs are interested. Yannick has received proposals from clubs in Germany, Spain, England and Italy but nothing is concrete, nothing is signed yet." When Happart was questioned specifically over rumoured interest from ​United, she confirmed the Manchester side were keen on signing her husband: "Yes, they are very interested. I do not hide it, but nothing is signed." Despite Carrasco reportedly enjoying his time in China, a move back to Europe appears increasingly feasible with Happart citing the pair wish to be closer to friends and family, adding: "Yannick likes China, but it’s a very different culture and we are far away from our families and friends. "We’ll see what happens and how it unfolds, but it is possible we’ll return to Europe"
Carrasco is no stranger to playing in Europe having broken through at Monaco aged just 19, where his incredible form earned him a €20m to ​Atletico Madrid in 2015. During his time in Spain, Carrasco's continued development earned him a place in Belgium's star-studded World Cup squad, where he helped his nation to third place in the tournament. Since his move to Cina for a reported €30m, Carrasco has scored seven goals and racked up five assists from 25 appearances.